Do you have a question that isn't addressed below? Contact us today to talk to an experienced Seattle child custody attorney. Will my ex-husband be allowed visitation rights for our child if he has a history of abuse? After a divorce, most state courts will make an effort to allow both parents access to a child. This includes Washington State, which provides that any parent who does not have custody of a child should be granted reasonable visitation rights. These facts should be presented during divorce proceedings in order to limit the offending parent’s contact with the child. If there is not sufficient evidence to restrict a non-custodial parent’s access, your ex-spouse may be granted limited or supervised visitation rights as part of the divorce’s parenting plan. If these visits pose a serious threat to the child, you will have to apply for a modification of child custody. This means that you will have to present a motion to modify custody and provide evidence that supports your decision. In order to be effective, you will have to prove that there have been changes that affect the circumstances of the original custody arrangement and that the child will be best served by the modification. Domestic violence can affect your custody rights years after the abuse has taken place. Click the related links on this page to find out more about how your family could be affected, or fill out the consult box on this page to let us know how to contact you with more information. How does teen testimony in Washington divorce trials work? Please be assured that you are not the only parent with concerns about teen testimony in Washington divorce trials. It is natural to want to protect your child and it is important to understand how teen testimony is handled in Washington courts. Washington judges consider the thoughts and opinions of children when deciding on issues of child custody during a divorce trial. That being said, your child may or may not have to testify in open court. Age – Children who are 16 or 17-years-old may be treated differently than children who are 13 or 14-years-old. Maturity – A court will consider a child’s maturity, emotional needs, and ability to articulate sound reasoning. Other relevant factors – If your child was abused or has a cognitive disability, for example, then the court may consider these special circumstances. Teen testimony in Washington divorce cases can be difficult for both the child and the parents. However, an experienced divorce lawyer can make this difficult situation easier. If you are concerned about child custody proceedings then please contact a Washington child custody attorney today for a confidential consultation. 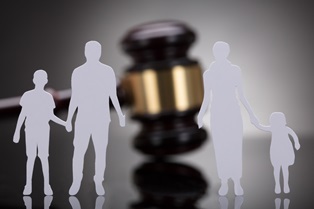 In the last ten years, Washington State courts have recognized something called a “de facto” parent – A person who is not biologically tied to the child and a person who has not legally adopted the child, but someone who has been acting as a parent for much of the child’s life. In 2005, a child custody battle between a lesbian couple caused the Washington Supreme Court to rule in favor of a de facto parent. It argued that since the non-biological parent raised the child from birth and acted in a parent in every way, she should have the rights of a parent during the child custody case. Have had the consent of the natural parent to act in a parent-like role. Live with the child in the same home. Have assumed many or all of the obligations of parenthood without financial compensation. Have formed a permanent and loving bond with the child in question. Since the 2005 de facto parent case, several non-biological parents have successfully argued for child custody. However, it is difficult to meet the above requirements—especially for stepparents and grandparents. It is also difficult to be named a de facto parents if the other biological parent are still living and wish to have child custody and visitation rights. Do you have a question about de facto parents or Washington child custody law? Contact the Law Offices of Molly B. Kenny today. What should I do if I believe my kids are at risk for a parental kidnapping or family abduction? Talk with your ex – If your ex is at all reasonable, communication may be the best way to avoid an escalation. Studies have shown that just a few hours of counseling can drastically lower parental abductions. At the same time, many abductors have said that they took the kids because they felt no one was listening to them or helping them. Be ready – Do you have recent pictures of your child? Do you know their height and weight? Do you know the license plate numbers of your ex’s vehicles? Make sure that you have the information you need if an abduction were to take place. Talk to the authorities – If you believe that your ex may take your children, tell someone! You can start with your attorney, the court, or the police. If the threat is a real one, they will act immediately. If an abduction is still only a possibility, they can help you prevent one and give you the resources you need. It is important to understand that if you see concrete signs of an abduction, such as plane tickets, packed luggage, or written proof, you need to act immediately. Call the police and make sure your children are safe. Do you need the help of a Washington child custody attorney? The lawyers at the Law Offices of Molly B. Kenny may be able to lend their assistance. Call today to schedule an appointment at 425-460-0550. When reading about child custody and child support in Washington State, it is likely that you have read the phrase, “the best interests of the child.” But what exactly does this phrase mean, and how does the court determine it? Very simply, determining the best interests of a child is determining the life a child should have that best preserves their wellbeing, health, and happiness. When a child’s parents divorce, separate, or break up, it can be difficult to know where that child should live, who makes decisions for the child, and who will financially support the child. A judge can look at the evidence in the case and answer these questions based on what environment and parenting plan will best benefit the child. The best interests of a child are based on the child’s needs and—if the child is old enough and mature enough—the child’s wishes. It is important to understand that a younger child’s wishes may not be in their best interest. In fact, a parent’s wants and wishes may not be in a child’s best interest. In Washington State, it is usually in the best interest of the child to keep an ongoing relationship with both parents, unless one parent has a potentially harmful issue, such as drug addiction or violent tendencies. Most Washington parenting plans involve joint custody and a visitation schedule, though the details of these plans vary widely from family to family. Every parent wants what is ultimately best for their child. 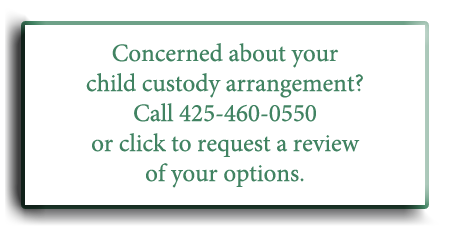 If you need a Seattle child custody attorney, call Molly B. Kenny today: 425-460-0550. Will my disability affect my Washington State child custody case? Unfortunately, parents with mental and physical disabilities are often discriminated against when it comes to child custody cases and divorce proceedings. While there are laws in place to protect the rights of the disabled, there are also a number of troubling recent cases in which children have been unjustly taken from the homes of their disabled parents. At the heart of every child custody case in Washington State are the best interests of the child. In many cases, this means that a child will be in contact with both of his or her parents regardless of their medical conditions. However, this may also mean that a parent that is suffering from a severe mental illness or physical disability may not get physical custody of their children if they are unable to properly care for them. In the end, the court will balance the rights of the disabled parent with the wellbeing of the child or children in question. If you are disabled and have lost custody of your child, do not lose hope. You may be able to fight to get your kids back if you can prove that you are an effective, loving, and capable parent despite your limitations. Every child custody case is different. To learn more about whether your disability could affect your chances of getting custody of your child, consider speaking to a Seattle child custody attorney about the unique details of your case. Call Molly B. Kenny today at 425-460-0550 to schedule a meeting with an experienced family lawyer. Whether or not a judge will consider the termination of your ex-spouse’s parental rights depends on the specifics of your child custody case. However, in Washington State, the courts generally do not wish to terminate a parent’s rights except in the most extreme circumstances. Under Washington law, judges will always act in the best interests of the child in question. It is rare that completely severing a relationship between children and one of their biological parents is a positive change–unless a child is in danger of being physically or emotionally harmed by the parent (or has been in the past). Generally, you must have a very strong reason to try to terminate the parental rights of your child’s other parent–and that reason must involve the wellbeing of your child, not you. If you simply want your ex out of your life, it is unlikely you will be able to terminate parental rights even if your ex is not currently contributing to your child’s life. You may have a better chance of terminating parental rights if someone else is willing to adopt the child and care for his or her needs, such as your new spouse. Again, this may only be possible if the biological parent has abandoned your child and if he or she voluntarily relinquishes his or her rights. It is important to realize that the termination of parental rights can have a serious affect on your child or children: without parental rights, your ex will not have the legal right to contact, influence, or care for your kids. In addition, they will not have the obligation to pay child support or financially assist your child in any way. Do you have more questions about the termination of parental rights in Washington State? Call the Law Offices of Molly B. Kenny today: 425-460-0550. Will moving in with my new boyfriend or girlfriend affect my child custody case? Washington State divorce and child custody cases can take months and even years – and it is not surprising that some move on to new romantic relationships during the divorce proceedings or during the child custody proceedings. In some cases, divorcees wonder if they can cohabitate with their new partner and if this move would affect their chances of receiving custody rights or visitation rights. 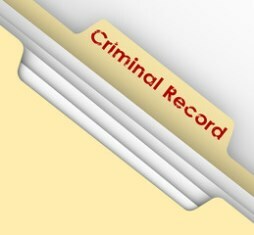 As with all cases, the answer to this question depends on the unique details of your individual case, as all child custody cases are different. And as with all cases, child custody is decided largely based on the best interests of the child. That means that the only way that cohabitation during child custody will affect the outcome is if your new boyfriend or girlfriend adversely affects the life of the child. For example, if you have an unhealthy relationship with your new partner, if your child voices issues with the partner, or if your partner has an unhealthy affect on the relationship, it will affect your case outcome. Absolutely do not move in with a boyfriend or girlfriend who suffers from a drug or alcohol addiction, who has a history of domestic violence, or who has a serious criminal history. Do you have other questions about your Seattle child custody case? Contact a Washington family lawyer at the Law Offices of Molly B. Kenny today. What is spiritual custody? What is religious custody? If you followed the celebrity divorce between actors Tom Cruise and Katie Holmes, you have no doubt also heard the phrase, “spiritual custody”. But what does it mean, and how are spiritual custody disputes resolved? Spiritual custody disputes sometimes take place between an interfaith couple with children who have filed for divorce. Whether or not the couple had previously agreed on a way to raise their children spiritually or teach them about religion, it is possible that they could disagree on their children’s spiritual upbringing during the child custody process. For example, one parent could refuse to take their children to a certain church or temple, while another parent may have their children participate in religious ceremonies without the other parent’s approval or knowledge. Spiritual custody disputes are often extremely sensitive matters. When and if the issue goes to court, a judge should approach the matter without favoring any particular religious or spiritual tradition. Instead, a judge will, as with all other aspects of child custody, consider what is in the best interests of the child. Usually, the best interests of the child involve the child continuing whatever religious upbringing he or she has had so far and the child being exposed to both its mother’s and father’s religious beliefs as long as they do not mentally or physically harm the child. If you are in a Washington State spiritual custody dispute, you may wish to speak with a Seattle child custody attorney about your case. Does My Child Get a Say When it Comes to Washington Child Custody Laws? Whether or not your child gets to help with the decision of his or her custody depends heavily on the individual details of the specific case. In some cases, a child’s feelings may be weighed heavily by the court and his or her parents. In other cases, a child may be placed in a home against his or her wishes. 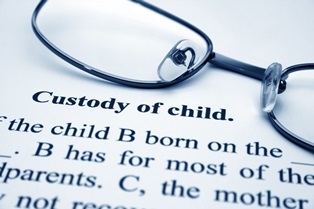 In all cases, the court will decide custody based on the best interests of the child. Sometimes that means that a child is placed with a person the child prefers, but sometimes it means the opposite. If a child is mature enough to add input to the situation, his or her wishes could be considered. Likewise, if a child has obviously bonded with one parent over the other, many judges will consider the emotional damage that would occur if the child and parent were separated. If a child wishes to live with a parent who suffers from substance abuse issues, who has a violent criminal history, or who does not look after the child’s basic needs, a judge may decide to place the child in a different home against his or her wishes. Do you need the counsel of a Seattle child custody lawyer? Call Molly B. Kenny today. Could My Depression Affect My Child Custody Case? Depression is the most common mental illness in America, and millions of people suffer from bouts of depression, especially after a traumatic experience like a divorce, a job loss, a death in the family or financial stress. Did you know that one out of ten Americans will suffer from clinical depression at some time in their lives? Recently, you may have read news stories about more and more spouses citing an ex’s depression in child custody cases. A judge will only make custody decisions based on the best interests of a child. When it comes to considering a history of depression in one of the child’s parents, a judge will likely consider how long or how often depression has affected the parent, whether the parent has received treatment for the depression, and how the depression might affect a child’s home life. It is important to note that there is a significant difference between suffering from depression during a hard time in your life and suffering from lifelong major depression or manic depression. What Should I do if I'm Worried My History of Depression Will Affect My Custody Case? Get an accurate diagnosis from a doctor. 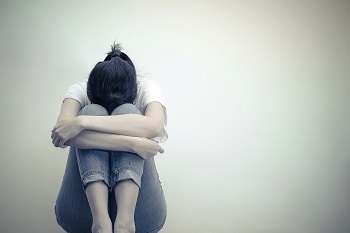 If you are depressed, don’t attempt to hide it because of a child custody case. Go to a doctor and get an accurate evaluation of the situation. There is a big difference between suffering a bout of depression, suffering from major depression, being manic depressive, and being suicidal. Make certain that what you are suffering from is made clear to the judge. Get the appropriate treatment. Most doctors recommend a combination of medication and counseling for those with depression. It is vital that you treat your depression, both to manage your illness and to show that you know how to recognize and confront difficult issues in your life. Ask yourself if your depression is affecting your children. If you are too depressed to give your children a loving home life or to fulfill their basic needs, you may not be the best parent for them at this time. As difficult as it is, be honest about your own ability to care for children and about what is in the best interest of your kids. Get an experienced Seattle child custody attorney. It is possible to get custody of your children despite a history of depression, but it is important to understand that the subject must be handled quickly and correctly. To speak with an experienced Bellevue family law attorney today, call Molly Kenny to make an appointment. Unfortunately, although depression is a relatively common health issue, those suffering from depression are often stigmatized or unfairly treated. For example, it is more and more common for a parent to cite a history of depression in their ex in an attempt to gain child custody. While some people are indeed too affected by major depression to care for their children, others may be managing their depression and perfectly capable of providing their children with the stable environment and care that they need. If you are involved in a Washington State child custody case and worry that your history of depression may hurt your chances of gaining custody of your children, it is critical to speak with a Seattle child custody attorney about your case. Call Molly Kenny today for more information. What is Shared Child Custody, And How Does it Work? Shared child custody, also known as joint custody, allows both parents to have physical time with their children as well as a shared legal say in their children’s lives. Shared physical child custody works best if the children’s parents live close by and if the child gets along well with both parents. Shared legal custody works best if both parents are able to openly communicate and compromise with each other when it comes to making decisions regarding their kids. If you and your ex are thinking about shared physical custody or joint legal custody, or if you are not happy with your current child custody agreement, speak with a Seattle family law attorney today about your case. Could Smoking Cigarettes Affect My Child Custody Case? As with all other aspects of child custody cases, judges make decisions regarding custody based solely on the best interests of the children involved. With that in mind, the presence of secondhand smoke in the home could be a factor in the decision. In the past, a smoking parent has faced the loss of child custody, restricted visitation rights, or smoking restrictions related to child custody or child visitation. If you do smoke, be sure to set rules for yourself in order to minimize secondhand smoke exposure, such as only smoking outside, only smoking in one room of your home, and never smoking in the car with your children. Even better, try to give up the habit of smoking altogether for the health of your family. Do you fear that your smoking could affect your child custody case in Washington? Talk to a Seattle family law attorney today. If I Want To Move Out During A Divorce, Will It Hurt My Chances For Custody If I Leave My Kids With My Spouse? Washington State child custody decisions very much depend on the specific details of your own case; however, historically it may hurt your chances for child custody if you leave the marital home without your children before or during the divorce process. Leaving your home without your children sends a message about who should primarily care for the children – and granting you custody after you have left may be seen as a larger disruption to the children’s lives. To ensure that you are treated fairly when it comes to child custody, talk to a Seattle family law attorney about your situation before making any big moves.